At the construction site near our office they have started the pile driving process. 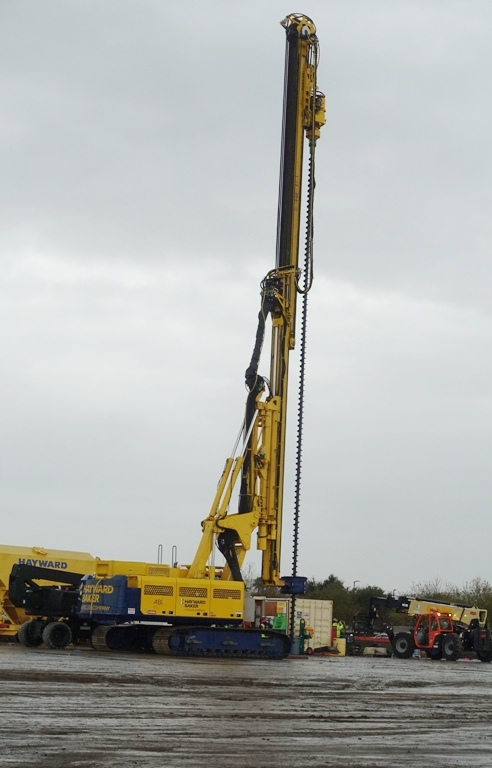 The pile driving machine showed up on the site about three weeks ago just before a series of storms swept through the area. You can see here that this was a very overcast and gloomy day. Here you can see the pile driver getting setup and also how wet the ground was. When you think of a pile driver you usually think of a big hammer unit that drives piles into the ground. However, they are using a drilling method at the site. Here the pile driver is drilling one of the first holes. 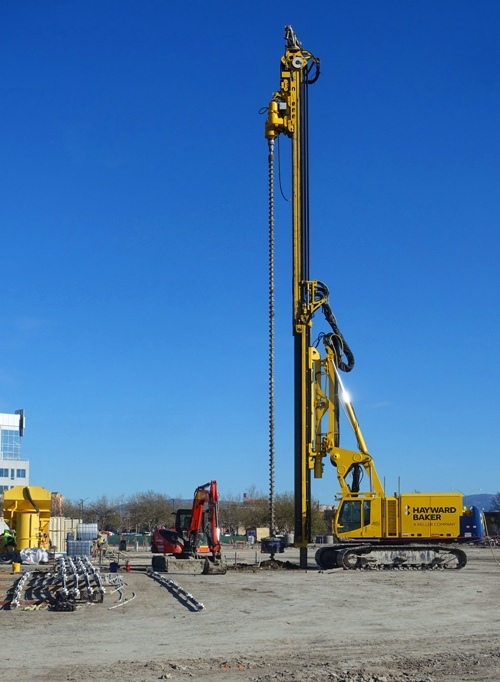 Instead of hammering piles into the ground, this process involves drilling a hole and then filling it with rebar and concrete. 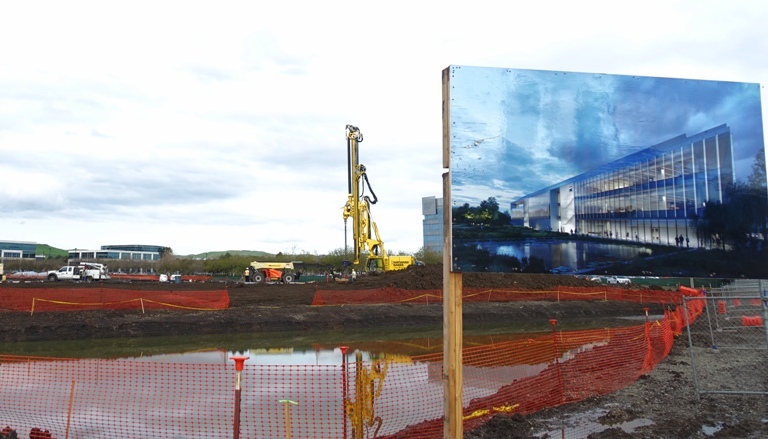 I like the reflection of the pile driver in the retention basin. Here is the pile driver in action. You can see the screw of the drill and a small pile of dirt that it is bringing up. At the left you can see the rebar bundles that will be placed in the holes once they are drilled. I took this picture last week, but have not had a chance to visit the site this week as I have been very busy. I am still catching up with some things because of my Horrible Tuesday Commute. In this last picture you can see that the trees are starting to bud out. It was taken about three weeks later than the first picture in the post. There is a big difference. 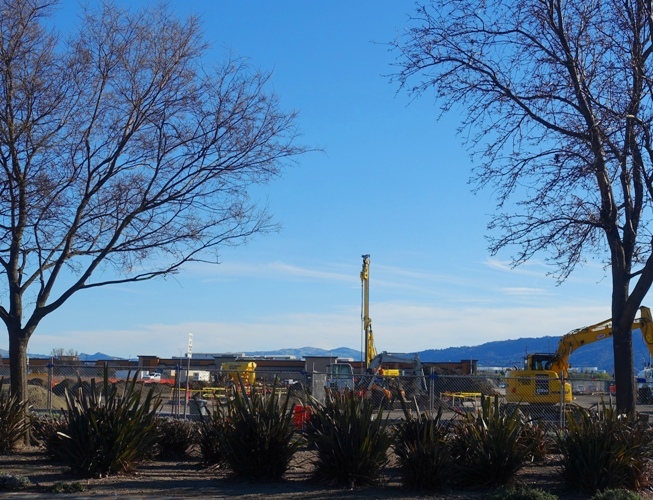 Today is the First Day of Spring, and with the improving weather I am sure that the construction will really start showing signs of progress. 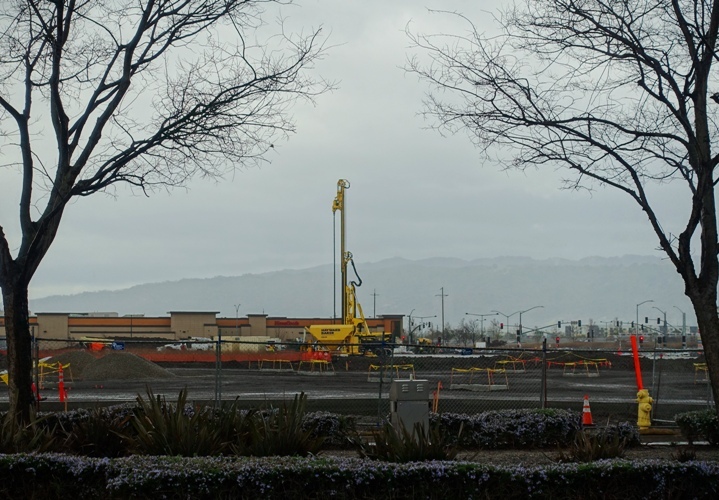 This entry was posted in California, Construction, Local and tagged drilling, Pile Driver, Pile Driving, rebar, Reflections, Weather. Bookmark the permalink.